We're not even halfway through 2019, and already we've had our share of celebrity intrigues, relationship confirmations, and not-so-unexpected revelations. A lot of them actually happened on Vice Ganda's late-night Sunday evening show, Gandang Gabi Vice! During his guesting with Angel Locsin and JC De Vera on the show in January 2019, Arjo Atayde was asked about his relationship status with Maine Mendoza for the Kuryentanong challenge. Vice Ganda asked him this controversial question: "Mag-jowa na ba kayo ni Maine Mendoza? Yes or no?" Amidst squeals and screams from the audience, Arjo very seriously answered, "No." Well, according to the lie-detector machine, Arjo was lying! Soon after that episode, Arjo officially confirmed that they were exclusively dating and Maine posted about him on her blog on March 3, 2019. The ArDub ship has sailed! We first got confirmation of the love team's relationship during another Kuryentanong challenge on GGV! In February 2019, Vice asked Enrique Gil, "Kayo na ba?" and Enrique said "Yes!" Liza Soberano even pretended to kick her *boyfriend* after his revelation! Liza said that Quen has been her boyfriend for more than two years now and that their anniversary is in October. They soon talked about their first real kiss on Tonight With Boy Abunda, where Liza revealed that Enrique gets super nervous when it comes to kissing scenes. Awww. Two years ago, Nadine Lustre uttered the iconic line, "Come on, guys, it's 2017!" when she was asked if she's living in the same house with boyfriend James Reid. 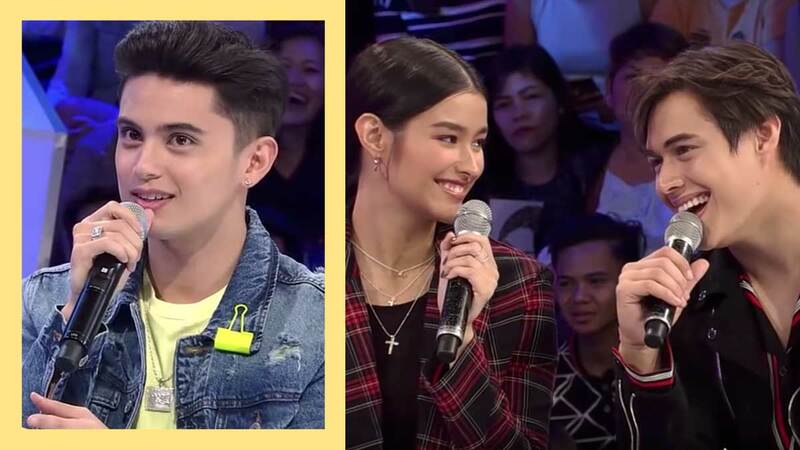 During his first solo guesting on GGV, which took place in March 2019, James talked about still feeling kilig with Nadine even after three years of being in a relationship. He shared, "It doesn't feel like three years. It's been so fast. We live together, so… Oh, did you know that already? Okay, well, we live together," he announced.